Belarusian authorities recently made a number of arrests among the top employers of state administration and companies management as a part of their war against corruption. Albeit corruption appears to be a serious problem in Belarus, the latest intensified actions of fighting look more like a propaganda campaign. They also raise questions about internal games within the Belarusian KGB and other security services. Transparency international ranks Belarus 143 out of 882 countries in terms of perception of corruption. Although the low level corruption in Belarus (police, hospitals, courts) appears to be not such a serious problem as in Russia, corruption at the top levels is very serious. Anti-corruption campaigns seem to deal more with the symptoms of corruption rather than its underlying causes. Belarus has a long history of corruption wars. 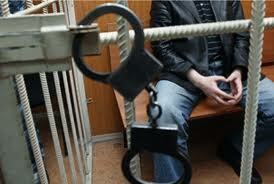 In 2009, KGB arrested Anatolii Gramovich, the head of Department of Financial Investigations. Paradoxically, the one responsible for fighting with corruption found himself under suspicion of abusing his power. Later on, Gleb Berdickii the executive of Secretariat of the Council of Republic, on the basis of similar accusations was arrested. Two other high-flying officials shared the same fate. 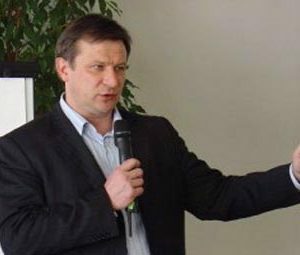 In December 2011, the Supreme Court condemned Igor Lazarenok (former executive of Belarusian air forces) to 9 years imprisonment and confiscation of property. He was accused of receiving material benefits for making favourable decisions. At the same time, due to suspicions of abuse of power, KGB arrested deputy of the Minister of Internal Affairs, Evgenii Poludzen. They all have politically important positions in the administration. Such a “sudden” ostracism of these politicians had in the first place political reasons. Already since the beginning of 2012 the KGB has intensified its actions to fight corruption, at that time particularly targeted at state enterprises management. In February 2012, due to charge of accepting the bribe of 32 thousand dollars, the ex – director of the ‘Medplast’ enterprise – a part of petrochemical concern ‘Belneftekhim’ – had sentenced 6 years’ imprisonment. In April this year, KGB arrested deputy head of Administration Department of a penitentiary establishment in the south of Belarus. Intervention took place due to charges of abusing his competence for improving life conditions of some of the imprisoned, for what he was paid with the cars. This June, KGB arrested 29 employees of the Gomel Miasokombinat, one of the biggest meat processing company in Belarus. therein addition, three police officers had been charged with participation in the organized group responsible for theft of the production surpluses. Importantly, the investigation proved that, as in the previous cases, top management was involved in the criminal dealings. Anti-Corruption Campaign or Just Window Dressing? These rather spectacular arrests of top officials and managers of state-owned companies may suggest effectiveness of the ongoing campaign of war on corruption. Nonetheless, a closer look at these arrests may suggest otherwise. The arrests are widely used for propaganda purposes to reach certain domestic objectives for the wider population of Belarus. Furthermore, these actions can aim to signal to the society that the authorities can still control the situation in the state and, furthermore, struggles for fairness among citizens. At the same time, keeping on mind that economic crisis are not so good, these arrests can positively influence the way the current president Alexandr Lukashenka is perceived in public opinion. More importantly, these arrests is a result of internal struggle between various clans within security services of Belarus. Those who are charged of corruption can simply appear as not loyal enough to the strongest clan to manage the key state companies. The recent cases of arrests among the top state administration and management employers can demonstrate the intensification of campaign against corruption. But the fundamental problem in Belarus is not that its officials are particularly dishonest. The authorities do not respect the rule of law, courts are not independent and underpaid officials will also be tempted to supplement their salaries with bribes. Others may simply have tough luck with being not a member of the “right group” and end up in prison for something, which the members of the “right group” are allowed to do with impunity. A long-term solution would require more transparency and equality of all before the law at all levels, including the very top. This month seven more European states joined the EU sanctions against Belarus. As a result of this year's new extension of restrictive measures target not only officials and politicians but also businessmen. It means that this politicised problem involves clear economic underpinning. The history of relations between Belarus and the European Union demonstrates how important were economic interests in building political contacts. Relations with Western nations remained cold for over 15 years. Starting in 1996, when Belarus hold constitutional referendum extending the powers of her executive, all major political campaigns in the country have caused harsh criticism from the West. Criticism followed attempts to influence Belarusian authorities – usually through targeted sanctions against state officials. Only the United Stated implemented economic measures of influence, but for this country Belarus is neither a neighbour nor a major partner. On the contrary, European nations until very recently did not seriously consider the option of economic sanctions. This March, however, European restrictive measures hit representatives of the Belarusian business. Why it has happened just now? I would mention two changes which have had the most impact on the situation. First – the sale of Belarusian gas transport firm of Beltranshaz to Gazprom, second – the start of privatisation in Belarus. The fact that in late 2011 Gazprom has completely purchased the Belarusian gas transport system, undoubtedly, influenced the position of European states on Belarusian issue. Earlier EU countries avoided the deterioration of relations with Minsk fearing the problems with gas transportation through Belarus. Now gas supplies for Europe depend only on Russia, and Europe has first of all to take its interests into consideration. The second development is privatisation. The current economic situation in the country makes selling state-owned assets unavoidable. Today one can say that Belarus has recovered from the 2011 crisis. Through sale of 50% of the Beltranshaz shares, the government has refilled its gold and foreign currency reserves, and the discount for Russian energy resources supplies gained from Moscow positively affects the foreign trade balance. It does not mean, however, that the systemic problems which have caused the crisis, have been successfully solved. The volume of gold and exchange currency reserves (USD 8.056 billion by 1 June) will suffice for approximately two and a half month of import. For a transition economy like Belarus, this is not enough. Moreover, over the next years the payments due to serve the external debt will reach their highest level. Minsk, most likely, will try to receive a new loan for re-structuring of its debt. And, quite probably, it will receive on condition of privatisation of some of its assets. Privatisation as such is also a way to get money. Therefore, Belarus has to deal with it anyway in the foreseeable future – and sooner rather than later. In this context, the question is who will participate in Belarusian privatisation. Participation of the US and EU companies as potential buyers of assets is impossible after 19 December 2010. European companies have interest in purchasing some property in Belarus. Yet, implementation of the EU sanctions against Belarusian companies makes their coming – and modern technologies – less probable. As for prospects for arrival of investors from other parts of the world, they look gloomy. Chinese entrepreneurs invest real money only in natural resources. Therefore, they would be interested only in something like Belaruskali, yet it is better to refrain from privatising it in the foreseeable future. On other projects, Belarus can expect from China only tied loans which involve investing money mostly in Chinese goods, equipment and labour delivered to Belarus. The opportunities to attract investors from Arab states are also limited as they usually invest the capital in the real estate and hotel business and only extremely rarely – in other projects. “Regime Purses” or National Business? Thus, the sole real player to participate in Belarusian privatisation is Russian business. Only Belarusian companies could compete with it. Admittedly, they do not possess such powerful financial resources as Russians. But national business has that doubtless advantage of knowing local specificity, and that can become the additional factor of success. When the EU compiled a list of “regime purses”, that is the enterprises to be sanctioned or under threat of being sanctioned – it became a hard blow on prospects of Belarusian business participation in privatisation. Among «regime purses» landed owners of such successful companies as "Santa-Impeks", «Amkodor» and «Savushkin Produkt». These and some other "blacklisted" companies work in competitive markets, created strong new brands in post-Soviet world and jobs in Belarus. They are not simply successfully in their business, but they also actively participate in privatisation. Putting them on the black list deprives them of the option to access cheap European loans and thus increases barriers on their way to participate in privatisation. Introduction and possible expansion of the European sanctions on Belarusian business turns Russian companies in practically exclusive participants of privatisation in the country. I am not against Russian business, I am for competition. Privatisation in which only large Russian companies participate, actually means absence of competition. That may result in some serious problems. First, the possibility of uncontested sale automatically reduces the cost of Belarusian assets. Secondly, without competition it is impossible to choose on competitive basis the most efficient investor which will bring not only money, but also new production and management know-hows. Therefore, from the economic viewpoint the European economic sanctions contradict national interests of Belarus and its European future. Pavel Daneika is a Belarusian politician, businessman and analyst. He is administrative director of Belarusian Economic Research and Outreach Centre. He served as president of the Institute for Privatisation and Management and as a member of Belarusian Parliament in 1990s. This original article originally appeared in Russian by Nashe Mnenie and was translated by Siarhei Bohdan. It is a part of a new collaborative arrangement with the Agency of Political Expertise.